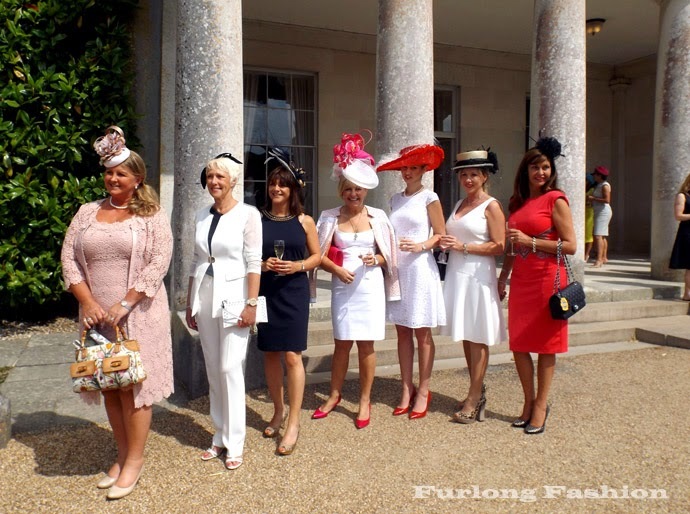 Ladies Day is traditionally the most glamourous day at Glorious Goodwood, although the fashion was also fierce on the Friday due to ladies been given the chance of winning a trip to South Africa in the best dressed competition. 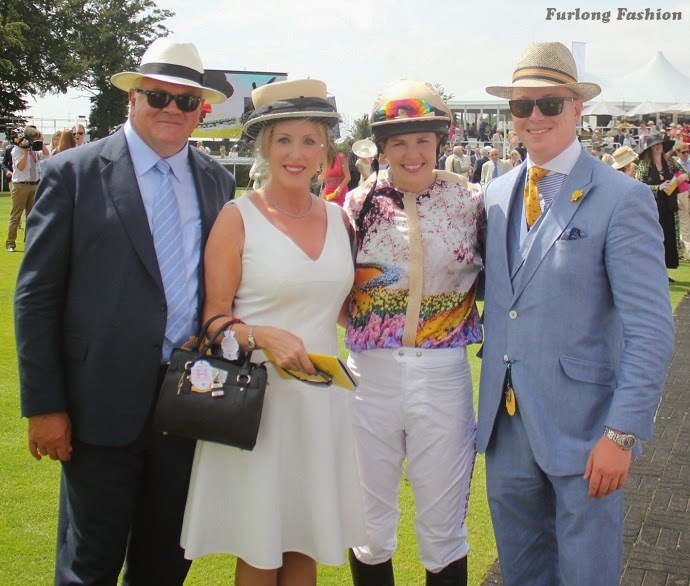 We awoke surprisingly fresh following a rather late night at the Regency Ball, and the excitement was growing for owners Robin and Jayne Jackson, as they had kindly agreed to let their horse Pastureyes be ridden in the Magnolia Cup by Alexis Green. 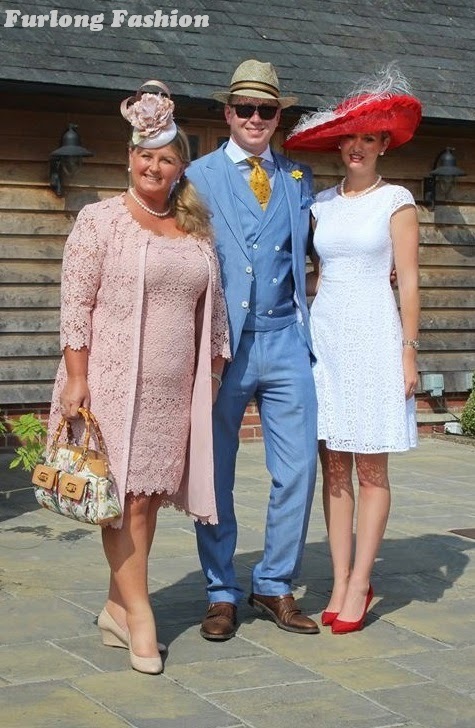 I was extremely lucky on Ladies day that the majority of my outfit was on loan. Shoes - On Loan from Lucy Choi London - I must say these shoes were one of the most comfortable pairs of shoes that I have worn to the races. They come with a built in padded sole to cushion the balls of your feet, and are of a reasonable height. If you are looking for shoes to wear at the races make sure you visit Lucy Choi London and to top it off at £185 they are not extortionately priced. We were also joined on the day by The Friday Follies. The Friday Follies are a group of very glamourous ladies, whose horse Armelle was also due to be ridden in the Magnolia Cup. 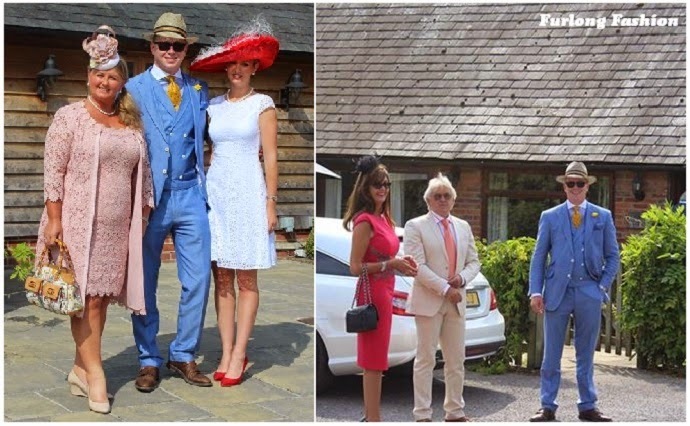 Unfortunately her jockey pulled out at the last minute, leaving the ladies to enjoy the day and the fantastic hospitality on offer from Lord March and Goodwood Racecourse. 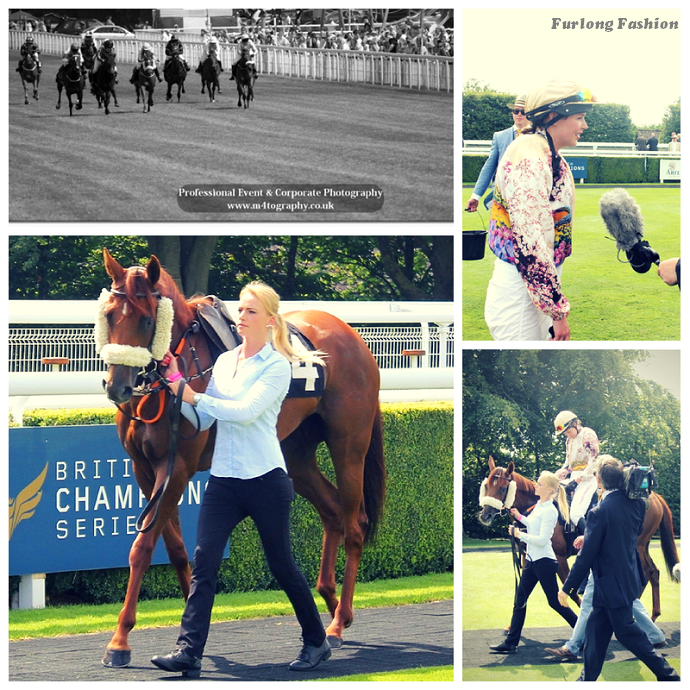 The horses names are always changed for the Magnolia Cup, Pastureyes was running under the name of 'Our Pleasure' and Alexis colours were designed by Claire Featherstone of Featherstone Frocks. I know I am bias but I definitely thought our colours were the nicest! Well Done Claire! Pastureyes or Pi as she is known at home, definitely looked up for the challenge, she was competing against horses rated in the high 80's, but as Scott told Alexis "the horse is only as good as the jockey" and Pi and Alexis made a great team. Alexis took the lead early on and maintained a fast run down the centre of the course, unfortunately supermodel Eddie Campbell came cruising past in the last furlong to secure the victory. Pi began to tire and finished a respectable 4th, which left all of the owners and Alexis delighted as Alexis had definitely made an improvement on her result from last year. Let's hope next year she can go 3 better! When you thought that the atmosphere could not get any better, who should walk into the winners enclosure to present the trophy than .................................. TOM CRUISE! The whole course was in hysteria. Tom was charismatic and 100% as good looking in real life. He literally just looked like he had walked out of Top Gun...... to most of the gentleman's dismay the topic of conversation for the day was thoroughly aimed towards Tom. Come to think about it I don't actually think we have stopped. 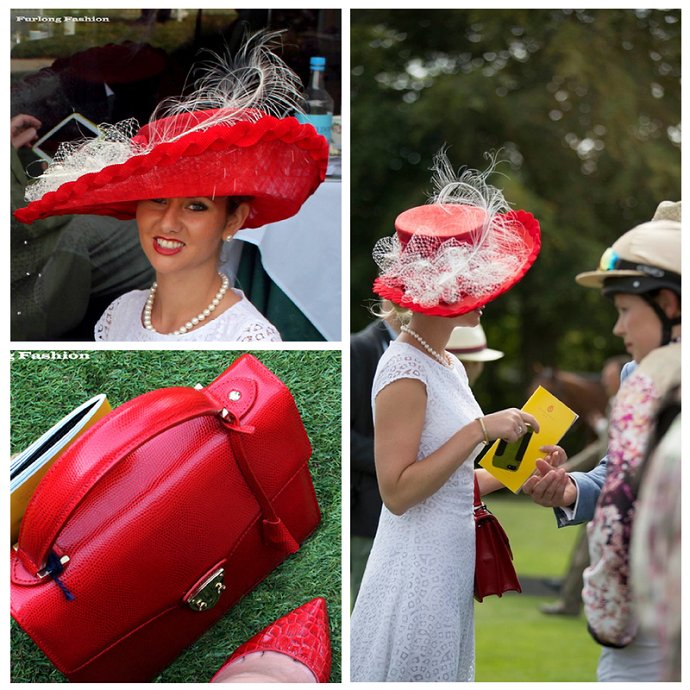 Ladies Day attracted a record crowd with the ladies race creating a fabulous buzz and some fantastic media coverage in the press. 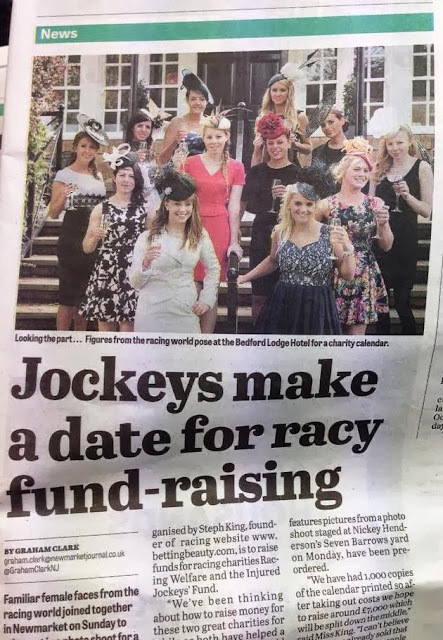 The celebrity race and the Regency Ball are not only great fun but what we need to remember is that they are in aid of raising money for Best Beginnings and Reading Agency Charities. This year looks to have raised £200,000, bringing the running total to £800,000 in the past four years. This is an amazing achievement and everyone involved should be extremely proud of themselves as this amount of money is life changing. 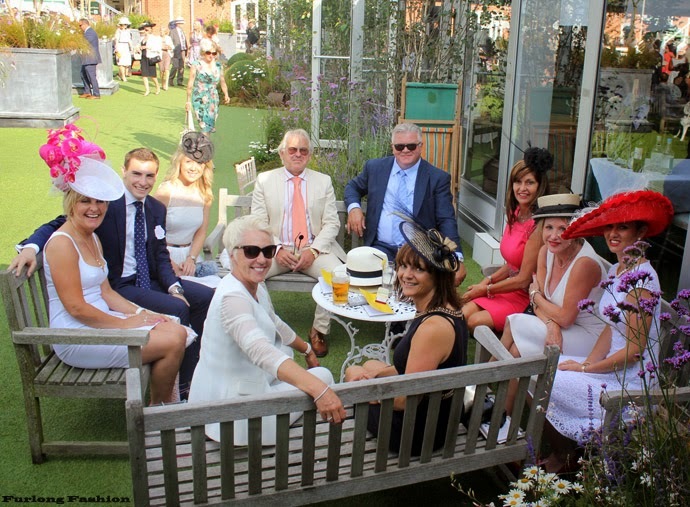 The remainder of the day was spent in the Sussex Suite which was kindly supplied for all of the owners of the horses in the race. Unfortunately the Queens horse Estimate struggled home in the 3:10, possibly another victim to the ever drying course. 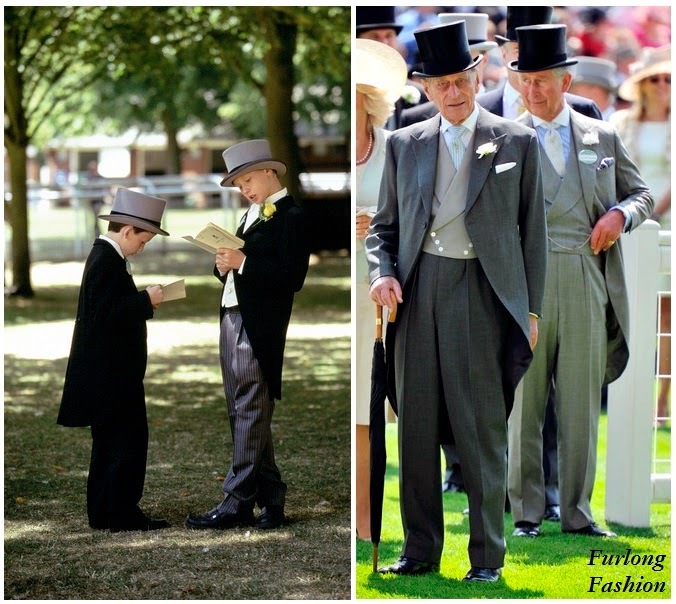 A day at Glorious Goodwood would not be complete without a visit to the Secret Garden. After a very busy few days the decision was made to head back to West Marden and create a feast in comfort of our own home!! I can guarantee it didn't take long for the heels to be off and my comfy jeans to be on!! Another great day and evening with great people. 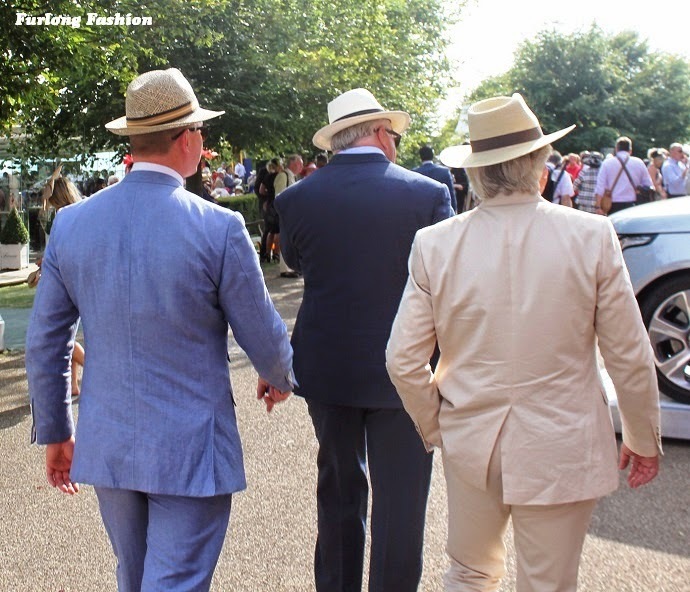 Did you attend Glorious Goodwood us know what you wore and what your favourite part of the week was in the comments box below.